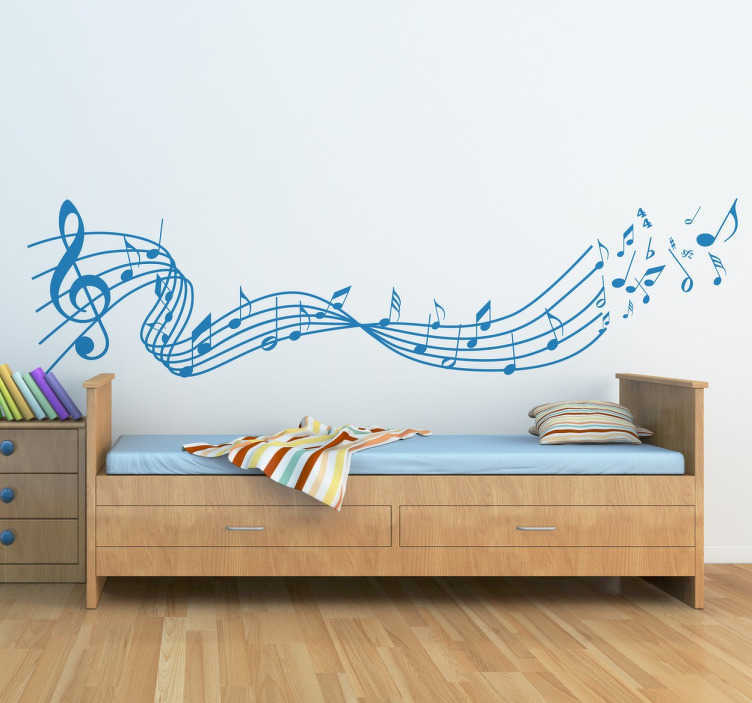 Original music sticker designed for music enthusiasts, with a range of musical notes that fly over the melody. Ideal sticker for decorating any room. Why not apply it in a teenagers room, as a headboard or in your living room. It is also perfect to illustrate music classrooms. An original Tenstickers design, in which the notes appear on a stave ordered at first but then scattered at the end. Available in more than fifty different colours.